Son of A.E. Nunn of Tenterden, Kent. Brother to Reginald Lewis Nunn (Ju./Sc. 1902-09). A donation has been made to the memorial statue in honour of this solider by SZE NGAI SHEUNG SALLY. "He was a strong and brave boy." A further donation has been made to the memorial statue in honour of this solider by Richard & Fiona Champness. Born on February 18 1891 Hubert Nunn was the son of Albert Edgar and Frances Ellen Nunn and in his childhood appears to have had connections with Kent, or at least that it is where he was baptised. A younger brother called Reginald, born in 1893 completed the family. If so it was the first of a series of tragedies which were to befall them, culminating in Hubert’s death at Gallipoli in 1915. Hubert was a pupil at Brighton College from 1902 to 1907 and was a member of School House. Hubert’s father was a Water Engineer who, by 1910 at least, was running a firm of engineers in London, ‘’A.E. Nunn and Co.” while his mother appears to have been a housewife and head of the small household. From the Newspaper reports which followed it appears that for a period prior to Spring 1910 the family, as relatively successful London professionals, lived in a large house known as “Rogate” in Marlbrough Road, Putney. It then appears that the Hubert’s father at least partially separated from his mother and took up temporary residence in a public house or hotel known as the “Greyhound” in Croydon. Despite this a later witness was to testify that Frances Nunn still occasionally called on Albert Nunn in his office in the City of London. On the morning of Saturday 18 July Albert Nunn was in his office but later departed for Cromer, Norfolk, and then a relatively popular seaside resort. It may be that the purpose of the holiday was to attempt a reconciliation with his wife or to keep up the appearance that they were still a family unit. Newspaper reports* indicate that he arrived and registered with his wife at Cliftonvilte private hotel and that they appeared to be in high spirits when they retired at 11.30 pm after dinner. The following day the couple did not appear at Breakfast and after the Hotel Porter spotted a woman’s prostrate body through the window the alarm was raised and the room entered by the Hotel Management and in due course a doctor and the local police. Evidence heard at the Coroner’s inquest indicated that Albert Nunn was found lying in bed in “night attire” having been shot twice in the head at close range while his wife Frances Nunn was lying prostrate in the floor in her dinner dress still clutching the revolver with which she had shot herself and her husband. Anote written by Frances Nunn was found which asked in vain for the story to be ‘kept from the newspapers for the sake of friends and relatives who have been so kind. Say a serious accident has happened to Mr and Mrs Nunn. Please keep it from the papers for my boy’s [presumably Hubert’s younger brother Reginald’s] sake’. The explanation which she then gave for her actions indicate the stigma attached to adultery among the God-fearing products of Victorian Britain: ‘how many broken hearts at home might be spared if only the 7th commandment could be dealt with as the 6th and 8th are.’ Whether the Coroner’s verdict, that there was no foundation to her suspicions about her husband and that she was in fact a ‘lunatic not of sound mind’ was correct will never be known. What is known, however, is that it must indeed have been a terrible event from the perspective of their two teenage sons. Hubert Nunn then moved to Wales, possibly to get as far away as possible from the terrible events which ended his parents’ lives where in 1911 he was apparently working as a Water engineer himself, indicating that he followed his father’s profession. Not much further is known about his life prior to the outbreak of war except that his younger brother was living nearby in Wales and was also an engineer. Following the outbreak of war Hubert enlisted, as might be expected, into the Engineers but chose, instead of the army join the small Engineers section within the Royal Marines. 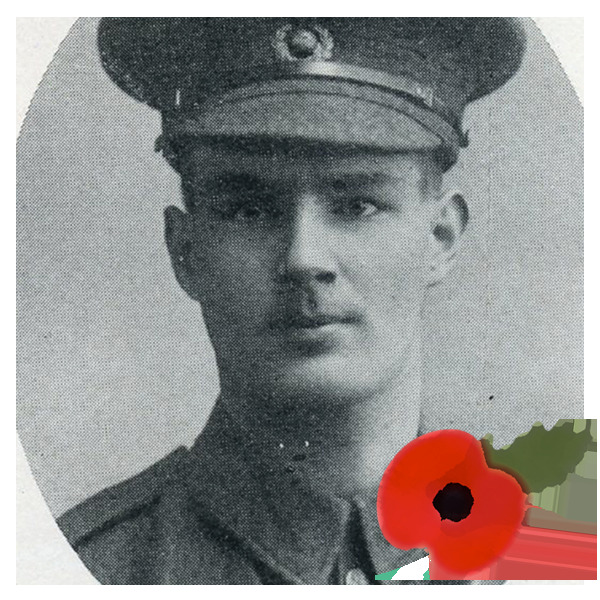 He was promoted to lance-corporal on 28 December 1914. The Royal Marines formed a large proportion of the force known as the Royal Naval Division- a force of amphibious infantry made famous by Winston Churchill’s intervention in Antwerp in Autumn 1914. As might be expected, given its amphibious nature the Royal Naval Division was also then at the forefront of the Gallipoli campaign as a British contingent alongside the more famous ANZACS. Although Hubert survived the initial costly assault on the beaches in April 1915 he, like the rest of the invasion force, was then pinned down in the bridgehead during the bloody stalemate which followed. On the 23 June 1915, a day of heavy action or the Royal Naval Division involving some very bloody raids on the Turkish trenches, it appears that Hubert was wounded and died of his wounds later in the day. His body was interred in the large cemetery at Skew Ridge at Cape Helles, Gallipoli and in the absence of his parents his uncle was informed as next of kin. There is no Marlborough Road in Putney so this is possibly a corruption of Marlbrook Road, a street of large late Edwardian houses in Putney where the author was born. * Newspaper cuttings regarding the murder can be seen viewed here.